Resolution Games is working on multiple new Angry Birds releases, including the AR-centric Angry Birds: Isle of Pigs. Angry Birds is still a veritable phenomenon, any way you slice it – and there arew still new games coming out in the space. 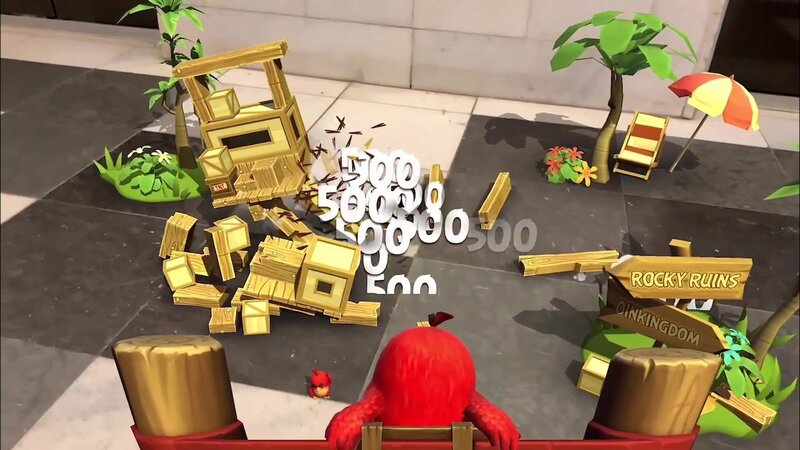 Shacknews caught up with Resolution Games' Tommy Palm at GDC 2019 to chat about the company's upcoming AR-centric entry in the long-running Angry Birds series, Angry Birds: Isle of Pigs. Resolution Games has several Angry Birds titles in the works, such as Angry Birds: First Person Slingshot, and there's also Angry Birds VR: Isle of Pigs out now for anyone looking to experience the Angry Birds hilarity while immersed in the virtual world. They worked with Rovio to bring this entry to life. "We met Rovio more than a year ago and we talked about doing something for AR. We started experimenting and then found something we felt worked really well." In Angry Birds: Isle of Pigs, players take the familiar ramshackle setups of the Angry Birds world and watch the chaos play out in the real world. You'll have to slingshot various birds into structures where their mortal enemies, the pigs, are waiting. The goal is to knock down as much of their structure as possible. "There's a lot of things happening both AR and VR. With ARkit and AR Core that means we can create games that take place in the real world, which makes things very stable and easy to move around in." Rovio Entertainment and Angry Birds: Isle of Pigs is coming to iOS later this year, and it will be functional on iPhone 6 and later devices, including iPad Pro and iPad 5th and 6th generations. You can check out the full interview in the video above and be sure to subscribe to Shacknews and the GamerHubTV channels on YouTube for the latest videos and news. You can also head back over ot our GDC 2019 hub for all the latest info from the conference.